Serve with salad and/or spinach leaves and top with avocado, feta, salt and pepper. I know the kidlets, mine included, aren’t huge fans of this dish but it is easy enough to cook alongside another pan of plain fried eggs on the stove. 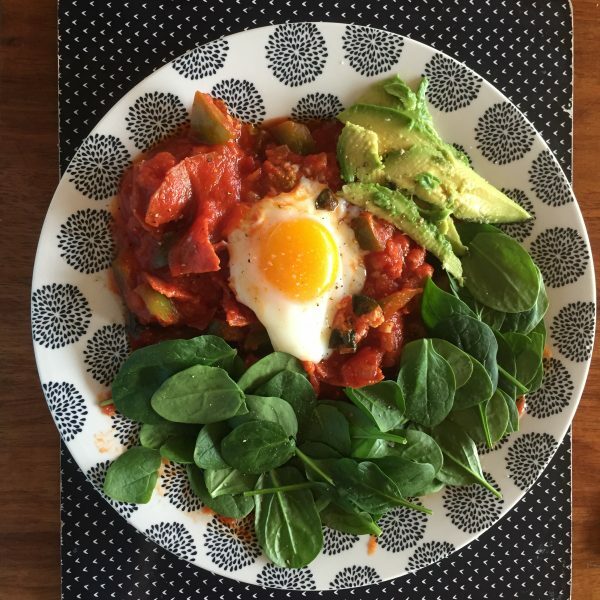 It’s a great energy boosting, high protein meal of veggie goodness to keep any mum or dad going, and sometimes it’s nice to spoil yourself with an extra special breaky. Enjoy and I hope you have been able to enjoy a restful Easter weekend with your loved ones.